This was to be my second event of the season and a chance to test out the previous trading block that I had been undertaking since East Leake Sprint 4 weeks prior. The event was an replacement for the re scheduled David Lloyd Lincoln Sprint I had done a year ago and therefore my first time on this course. 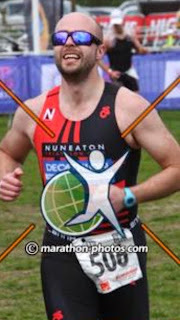 Generally OnestepBeyond.com events are very well run and always see a large and competitive field of athletes. 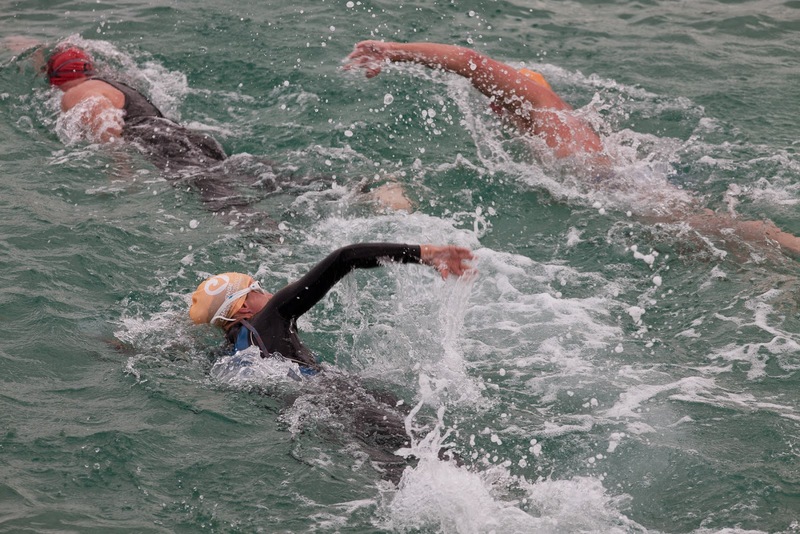 For this event you are required to put in a swim time that you are hoping to achieve so that you can be seeded and your start time determined, with the fastest competitors to go last. I had posted a time of 6mins 30secs, this was going to mean PB but by putting this time it means that you are swimming with only faster people than yourself to spur you on and give you a draft to hold on to. I unfortunately (for the second time this year) drew the outside lane close to the wall. The good thing about OSB (onestepbeyond) is that they tell you this detail on the start list which is published in the days running up to the race. This means there is time to prepare mentally and to also practice if possible. The issue with Southwell's wall lane is there is a rail all the way along that does get in the way! Feeling totally prepared (to the best of my ability and training would allow) I decided to go off at a moderate pace and not to become involved in a race with anyone in my wave, this worked perfectly as i stayed in charge of my heart rate and watch as the field came back towards me as the race went on. This is for me a vital skill of pool racing, it allowed me to use energy later on in the swim meaning the stronger swimmers that got in my lane after me could be used to draft off. On completion of the swim there is a matted run from the leisure centre to the rugby field which is approximately 150m where you enter transition and break the beam to stop the clock on your swim time. Feeling good after the swim my run to transition had more of a spring then usual, the bike apperal went on well, I only messed up the order of the shoes and number belt by putting my shoes on first and not taking the advantage of another few seconds of drying my feet on the towel. Because my bike had been moved the pedals had now been disturbed and were not in the correct position for me to mount the bike. The VP pedals I had brought for their wideness worked great! no need to clip in straight away just jump on and mash away clipping in further down the road. For my future development I do need to practice with my shoes in the pedals... but this is to come in a later blog! The bike starts with a small roll down the lane before you join the main road OSB did a great job with stewards stopping traffic to allow for a smooth transition not to the carriageway. Almost immediately as you turn left the road climbs to what is the worst of 5 rolling hills on the way out. Along the way OSB marshals are patrolling on Motorcycles, stationary in vans and situated on the road to check for any drafting infringements. as you come over the last of the 5 hills there is a flat riding part of the course that takes you down to the round about that will send you back in to the hills for the return part of the course. I do have a criticism about this section! at the roundabout there are no marshals to help or guide you on the flow of the traffic, this is a busy junction which has fast moving traffic! also there is a pelican crossing before the roundabout with 2 marshals checking to see if you jump the red light. Wouldn't it be a better use of their tim in that location asking people not to press the button and instead helping people to cross safely? I did get held up at both costing me approximately 45secs. The return section of the bike starts with the flat out Time trial type section and then back to the 5 rolling hills, these are definitely harder this way round as the descents are shorter and climbs longer. On the day of the race the wind was 14-16 mph and was head on in this direction, noticeably there was rest bite from this during the descents as you were protected by the next climb. 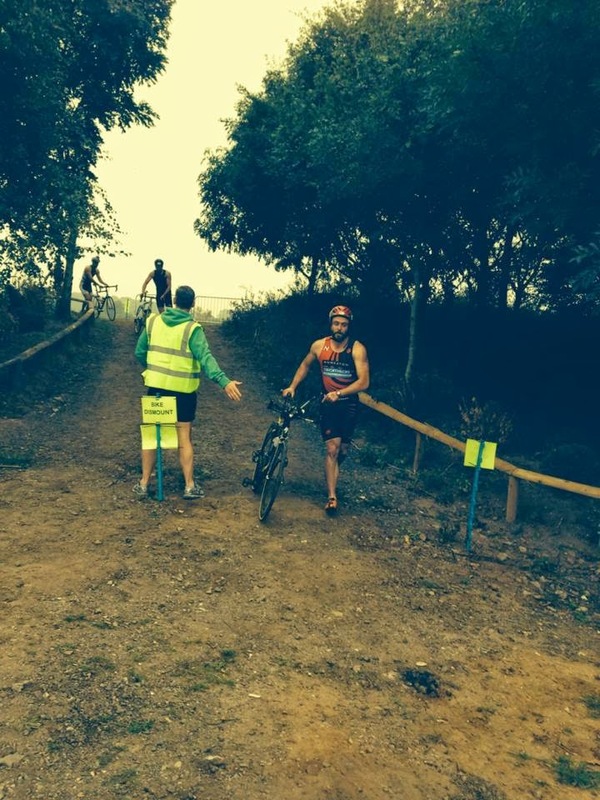 The last part of the bike is down hill to transition, for me taking my feet out the shoes ready for the run. This was a little scary as it was down hill and fast! Now I am always going to struggle in T2 whilst I am unable to run without socks on! My current Acsics Gt2000 are not the greatest for sock less running and I have historically brought running shoes one size larger for comfort on the run, this just means my sock less foot can move around more and chafes causing blisters! My plan is to run the Belviour trip in my Salamon S3 trail shoes that are the correct size and more comfortably lined for sock less running. The run was and is the bit I dread the most, more so in this race as it is 400m up hill followed by 800m flat then 400m descent and run around the rugby pitch and do it all again! My training had included hill repeat sessions and I felt as ready as I could ever be, bar the fact that my nutrition leading up to the race hadn't been optimum and I was a little heavier then I had liked to be! (I'll come on to this later) despite this I had a great run, passed only a handful of times and surging throughout, like interval sessions trying to hold on to people as they passed me and giving my self time to recover in-between. What i would call a smart race! Overall I finished in 1 hour 1 min and that earned me 99th place and 12th in my age group I was 4 mins adrift of the podium for my age group. This is a very good result for me this early in the season and fills me with confidence that my training is going well. Today was a very strong field with the 5 fastest swimmers all under 5 mins for 400m and under 5:30 to the transition beam. Lots of points to work on mainly my nutrition as I weighed in at 92Kgs on the day and I would like to be 85kgs. On reflection I had let my diet slip and I am now looking at this again using My Fitness Pal to tack my calorie intake and training smarter feeling the training sessions and preventing the rampent hunger that normally follows a training session. Also I will be starting fasted training sessions to try and promote fat burning and using L- carnatine to teach my body to do so also. Transition - Needs to be quicker, main points to be lose the socks! try and mount the bike with shoes attached and move quicker in transition. The pictures from the official photographer were poor to say the least! as you can see here they were all from the finish line! my choice would be to have pictures on the bike more than anything! Body shape I hear you say, what do i mean by this exactly? ... Well to be perfectly simple, all of us are not the same! shock news but people but weight on and off in different ways and in different locations on our bodies. Take the Brownlee bothers for example, no doubt two of the best triathletes in the world and if you read their book (which I have and its a great read) you will no doubt realise that along with the endless training and handwork they owe a lot to there genes. In a recent interview for the telegraph Jonny exclaims that he is lucky to have "a good endurance engine and a good endurance frame." What exactly is this frame? Below is a the Britanna Encyclopaedia's explanation of what type of body shape suits endurance racing and indeed the type of "endurance frame" Jonny was talking about. This can be demonstrated by the Brownlees's them selves when they took part in the recent remake of the hit 80's TV show Super Stars on BBC1. Jonny and Alistair exceed in the running and cycling but struggled in the strength challenges such as body weight dips or chin-ups. 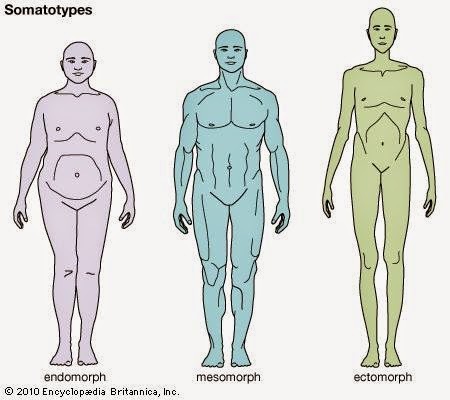 What does all this mean for the rest of us, the Endomorphs and Mesomorphs? Well all is not lost it does possibly mean that your not going to be a world champion anytime soon tho... but once you've managed to come to terms with this there are lots of things you can do and lots of ways you can maximise your strengths to which you can have some of your own success at your own level. The first thing you should do is stop racing the ectomorphs! Make your family and friends aware of these unfair super beings and get them to count the number of competitors ahead of you that suit your body shape! We already have age group classes that divide people up into more fair categories so what is the harm in dong this further? Although there will never be any official ruling on this, it is possibliy the most accurate way of getting your own performance measure and indeed any progression in the future. use the winter to try and lose as much of your mass as possible remember the lighter you are the faster you go simple! For a mesomorph this means cut down on the weight training as well as your body type is efficient at producing muscle and we all know muscle weighs more then fat! Although, swimming should not be an issue due to the fact that the water will make you buoyant and therefore level the playing field and it really is all to play for in the water so this should be one of your key focuses. 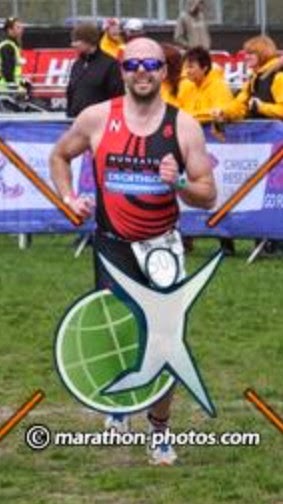 For example if you lost 2 mins to an ectomorph in the swim during a hilly triathlon that becomes almost impossible to reel back in as they have there most suiting disciplines to come, if you gain two mins then it for them to chase and for you to maintain! Using the higher muscle and weight advantage to grind the bike leg and hopefully hold on during the run! Swimming is definitely the place to gain for another reason... Drafting! The draft from an ectomorph ids the same as anyone else, use their swimming ability to conserve your power. let them hit the water first slowing them and tiering them out before its advantage them. 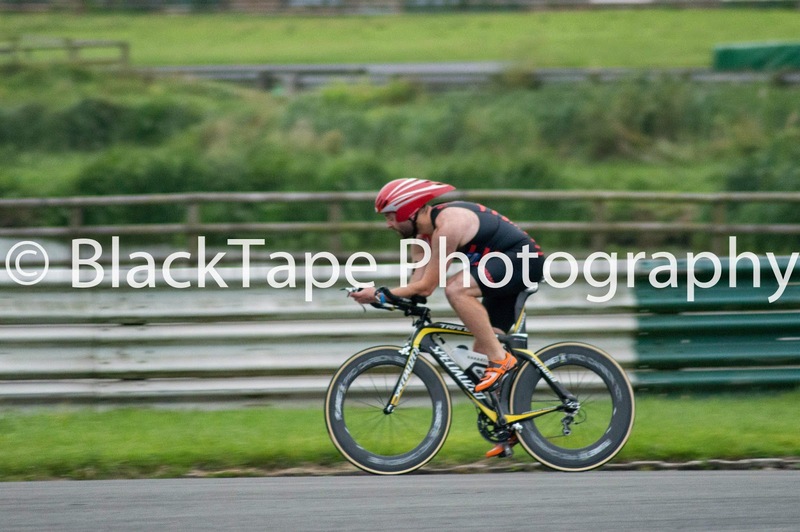 On the bike its all about having the correct fit, the frontal area of the bike (the front view) is cutting through he air and you need to be as small as possible, Tri bars, aggressive position, aero helmet and bike components allow you to regain some advantage. Power will also be your greatest advantage here. With a greater bodymass a higher gear can be turned and the momentum increased, however any gradient over 3 % will see you lose almost 1 sec per kg of extra body weight in your time to the summit. You need to keep cool let them go keep your heart rate down and make it up somewhere else. Fight the course here and you will lose later on! The run is a case of holding on, knowing that the lighter framed gazelle like ectomorph competition is on its way and hopefully you have done enough to stay in front. Again any hills on the course will see you lose the same advantage as on the bike but again its about conserving those beats per minute and trying to make it up on the flat! Most training plans and magazine articles are written by ectomorphs for ectomorphs and should be treated with care, long runs and endurance sessions should be built up over time and should be integrated into greater rest periods to help your skeleton recover when carrying the extra weight. Diets should also be looked at carefully, supplements can be great ways of topping up nutrients and not adding excess calories, and protein supplements can be a way of making sure your body burns fat and and creates only lean muscle mass. Couple a good diet with gym sessions that focus on high reps low weight, strength and conditioning sessions and the endomorphs and mesomorphs can claw back some advantage. "what do I want to get out of this season"
and the answer is to be competitive with everyone, then you should think about races that suit your frame! Strangely, and this is why I am unsure myself on this one. The two races endomorphs and mesomorphs are best at (age grouper wise) are both the shortest and the longest races? The reasoning is clear. 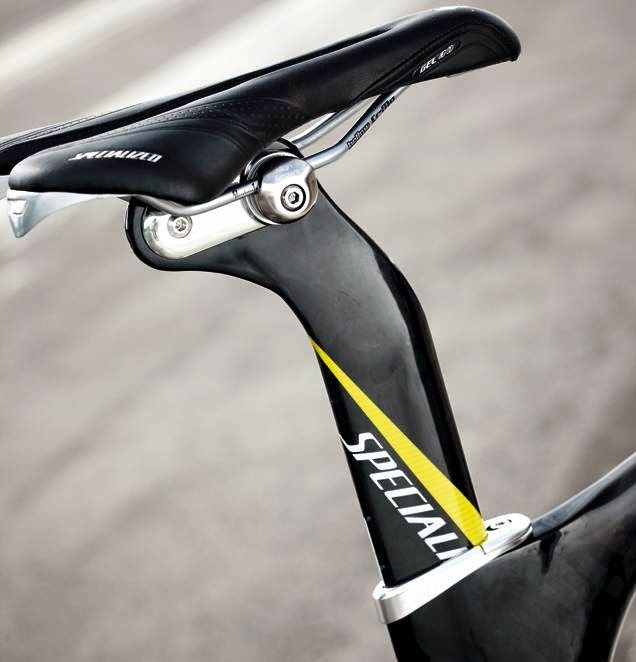 High intensity, high power output racing in sprint triathlons means the advantage of weight is far less. A stronger more powerful mesomorph can gain advantage in a high power bike leg with only 20 mins of running to complete at the end, this is a distinct advantage of the olympic distance where runners reel in strong bikers over the 40 min run. Also in a non competitive way excess body mass (usually endomorphs with higher fat content) tend to be better long distance finishers, whilst it is obvious that at the sharp end it is essential that long distance ironman athletes have a sub 10% body fat mass, the challenge people that just want to finish are sometimes better to have more fat! in simple terms your carrying your own energy source and although you will feel pretty bad your body will convert the fat to energy and you will get round! This is of course a theory and the other points of joint and tendons carrying excess weight is pointed out in the paragraphs above! But it surely has to help! You should however look for flat races, power courses that will not benefit the lighter, leaner ectomorphs! I have been after a swim stats recording device for a while now and I couldn't justify spending the £££ on any of the Garmin products that cover all three disciplines when I already have a HRM monitor for running and have my eye on a GPS device for my cycling. So for me the Swimovate Poolmate with all the functions I need plus the price tag of around £60 was very appealing! So it was securely placed on the Xmas list and my darling wife delivered... via santa Claus of course! To start with It was not the happiest of deliveries, the first one I opened on Xmas day had no battery life and the display was blank and although I couldn't have used it on xmas day I did want to fiddle and play with my new gadget and due to the post situation at xmas I was unable to get a replacement until after new year! Never the less the replacement arrived and in a working condition this time and I do have to say it was worth the wait! 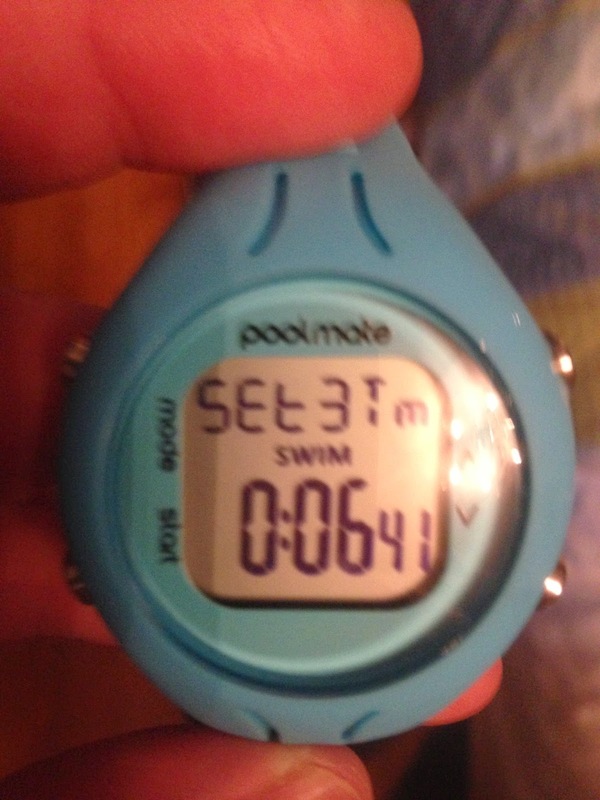 easy to set up adding my weight, age, time and pool length took seconds and I was ready to go. It accurately takes all the data you need and recalls it back to you instantly (for the previous set anyway.) You can then check the log via the menu buttons after the session is complete and check each set you completed and the times you logged. -The efficiency score that this watch gives you for each set is a great way to see how tired you are getting and a great metric to help you improve! - Your set time is only displayed for approx 2 secs after you have stopped then the display shows you the elapsed time, the up and down arrows that show you data of the previous set don't show you the time of that previous set? 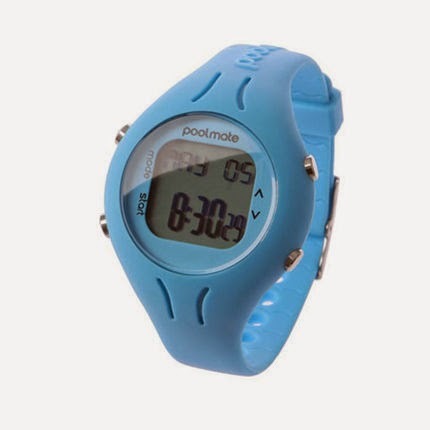 - Being able to programme a desired distance and have the watch warn you you are about to finish by a vibrating alert. This would be great at this level as the constant thinking of technique means you often forget what length you are on! My Summary is that this is a great bit of kit with some minor niggles that can all be worked round and indeed lived with! It still is a great purchase and will give you more motivation and control in your swim sessions. The last point is to say, do you need the Pro version? Well for me definitely not, the poolmate gives me the analytics at the poolside and in the internal memory (logs) I definitely don't need to transfer this to the computer, however If I had a coach or a training partner the case might be different and the process of analysing the data post event and against norm and goals may be worth the extra £60? but then a second hand Garmin 910XT is about £150 on eBay and that would then make more sense! 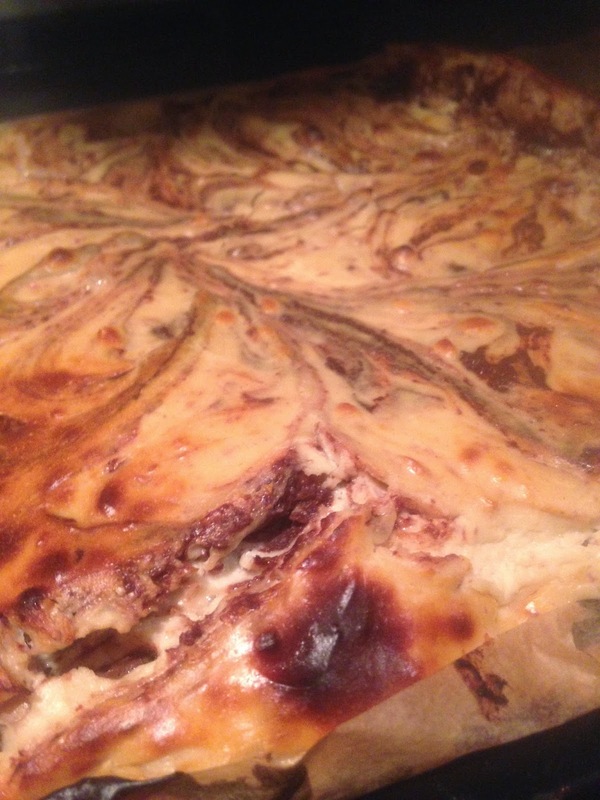 Nutrition - Make your own energy snack bars! Okay so this is definitely an area in which I feel I have some experience! Running, biking and swimming are all pretty new to me but eating is not.... infact looking at nutrition has been a part of my daily routine since September 2012. Why that specific date? Well it happens to be about a month after my daughter was born and the exact time that I started this route to become a triathlete and turn my life around, I was a whopping 115kgs and for a man just over 5ft 9inches that is one hell of a size to be! I am now around the 90kg mark which is still not the ideal but its definitely on the right track. One thing this 25kg weight loss has taught me, is that you need to find interesting and tasty ways to fill the gaps from your previous life of eating the wrong, but scummy things and find some alternatives that will keep you from shovelling in sugary, carb loaded foods and also fuel you for your training and competing. When I started to lose weight I followed the slimming world diet with a few minor alterations to suit me and my weight loss. This was great as the plan allows for lots of carbohydrates and lots of fruit, the result is that whilst training for triathlon and whilst you still have a lot of weight to lose, you feel full and full of energy thanks to the carbs and the sugar. however this began to run its course and the amount of weight I lost became less and less, to the point where I started to gain weight due to very things that made me lose weight interestingly, carbs and sugar! once my body had balanced out and started to become used to this way of eating it became efficient in using these foods to store energy as fat! (its a cave man thing) So from that point I had to find alternatives to keep me on the straight and narrow and to encourage more weight loss. Increases in protein directly after training and the well timed carbohydrate source are always good to make sure your body burns the fat and not the muscle! So if your a bit of a chocoholic like me there is a way of getting a little of what you like without breaking those calorie counters! mix the Coa Coa and the almonds and the whey protein together in one bowl, melt the dark chocolate with the coconut oil and add to the apple puree and the eggs in a separate bowl, add the wet mixture to the dry mixture carefully until completely mixed though out. Finally add the honey and the peanut butter and pour mixture into a pre lined and greased brownie tin and place to one side. 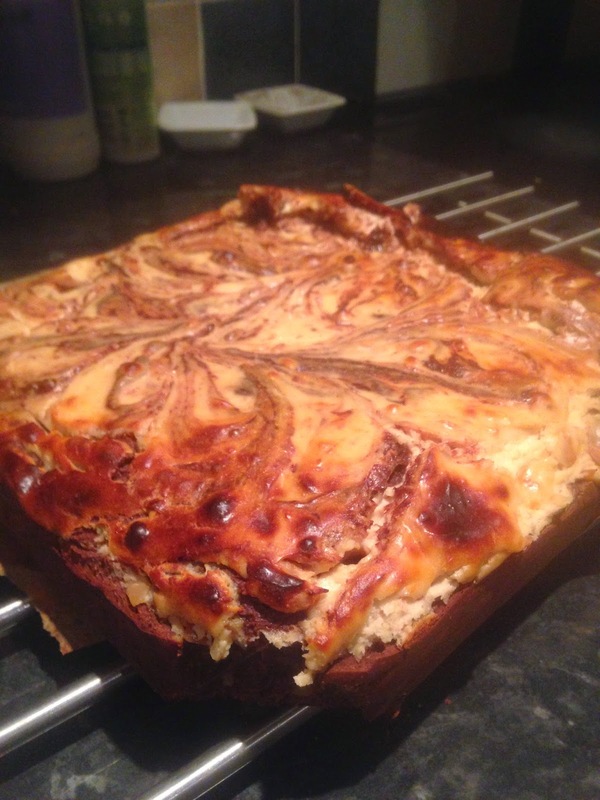 Cook in a pre warmed oven at 180 degrees Centigrade for around 20 mins, mixture should be springy to touch. So these can be used for breakfast alternatives, post exercise treats and energy replenishers! Enjoy! Buying a Tri Gear on eBay! the do's, don'ts and the things you should be thinking about! There is no doubt that this triathlon game can be expensive.... very expensive! Luckily I come from a motorsport background so any money I spend doing this will almost certainly be a saving on what I used to spend doing seasons of motorcycle racing and motox! Even so it will always pay to be prudent with your cash and seek out the most economical and best thought out purchases to A) make you competitive (I mean able to take part at the level you want to) and B) not in the dog house with the other half when one more "Wiggle" box comes through the door! ...and can it be that spending a bit more cash will give you a sense of security and also a better product that suits you? Well lets start by working out what kind of buyer you are! like we all have different learning styles we can also have different styles when it comes to procuring goods. For example i'm a deliberater constantly looking for something else, something better or different. This is not a great characteristic when looking for something on eBay as it can pay dividends to be the kind of shopper that reacts on impulse or is clear and resolute on what they want to buy. Other characteristics that are not useful for buying on eBay are, Try before you buy! this is often difficult as the goods can be old and finding the exact one to try may be impossible. The whimsical buyer, now you would think form my last statement that people buying on a whim would be good for eBay but no this is counter productive as you just end up with lots of goods you don't really need or indeed suit you for the job you need them to. Good characteristics to adopt when buying on eBay are Researching, know exactly the range model type, competitors models, pricing etc... this will allow you to sort the wheat from the chaff! Patience, Know what you want and how much you want to pay and be prepared to walk away from silly bids that just keep going up, yes its okay to go over budget but remain unemotional "another will be along soon" mindset. A great tip for this is to always buy your equipment and machinery at stage times both in the year and in a 24hour period. What I mean by this is that off season summer gear, summer bikes will be low cost as everyones focus is on the cold weather, have some foresight and keep your eye open for those people upgrading in the shops sales.... also mid season is a great time to pick up deal! Injury, underforefillment of goals, change in circumstance all means people will be getting rid of great gear cheap to forget about there lack of participation or ability to perform! In a 24 hour period is explained by looking at the eBay sales that end after 9pm at night! these are always due to people coming home from work, training or the pub and making the decision to sell not realising that the auction will finish the time they started it... late, or in sociable time when people are generally out! great time to get a bargain! Be Cheeky, set your search critia to newly listed and send out DM's to all the new listers of products you want asking them to settle outisde of eBay and offering them an up front some (sure eBay wouldn't be happy about that) but its worth a shot, on things like bikes where the selling fees can be hefty there can be some success! 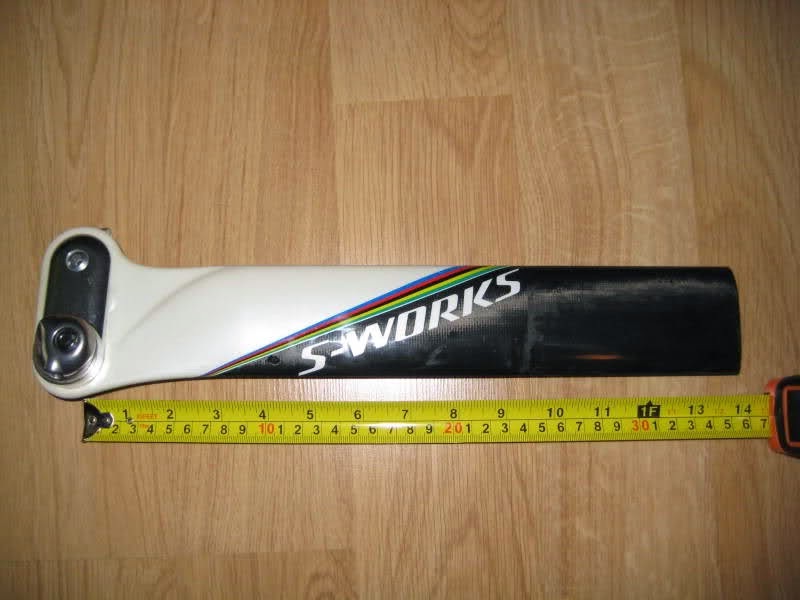 Things you should really know and be thinking about when buying triathlon gear on eBay! Wetsuits, This is a piece of equipment that I don't think you can buy on eBay without a hell of a lot of research and a lt of visits to shops with out buying anything! wetsuits should be brought on fit and there are so many different fits out their! Take me for example i'm 85kilos and i'm what most people describe as stocky (short and fat) there only two brands of wetsuits I can find that fit me is Blue Seventy and Mako (and I've tried a lot on) especially when triathlon wetsuits need to be so tight anyway, i think its best to find a venue that allows you to try before you buy! Mallory park, adventure lakes in Lincoln and discipline of 3 in stratford upon avon all have either open water or infinity pools for you to try! or indeed one of the triathlon shows, Excel or Sandown Park. It is at the point you have tried it on and ideally swam in it that you can then, if your conscience allows walk away and buy on eBay? personally I wouldn't and I would support your local shop in this instance. 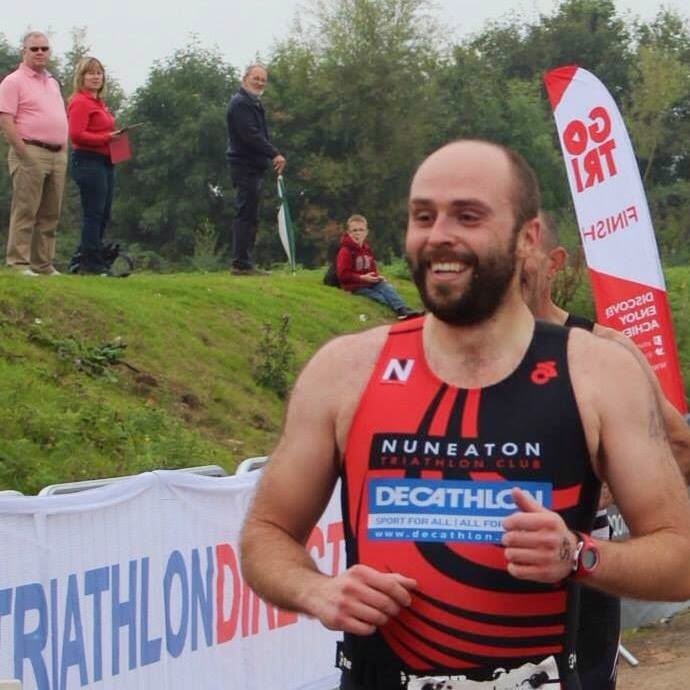 "Buyer get out there!....and bid"
Recently I've been training with three different triathlon clubs in their swim sessions whilst I work on my Patella issues, One thing is clear... that the rule book to swimming is one of the most multi interpreted pieces of work ever!!! The dodo egg of all of this is the illusive technique to guarantee the swimmer feels the water?? You only have to look at the shapes and sizes of the people around you in the swim lanes to extrapolate that swimming is (at age grouper level) 80% technique, Drills, aids and demonstrations will only take you so far in your quest to catch the water and heave your body past it, the rest relies on the three P's practice, pool time and perseverance. It's for this reason I believe in following programme, as it succeeds in giving you all three and still is triathlon specific. pushing off from the pool edge is a luxury in pool based swims but it should not be overlooked this can safe you lots of time and give you the edge on your competition! see how far you can get down the pool when pushing and kicking only. tip, try drafting a partner and kicking off the wall! the draft caused by the person infant allows you to move further and faster in the water without extra effort make up valuable time. This one really gets the blood going but also makes you feel like a hero flying through the water like an olympian, gets you used to speed and what you should be aiming for! Its a pretty dark art in swimming and a loop hole to the triathlon rules that allow this blatent use of someone else's power. But done correctly can be a massive advantage. Ideally this is done as a group of 4 and each person takes a turn at the front, on your own this is difficult but not impossible, public swimming pools are rarely empty and no matter how slow the other people are you can still brush up on this skill and feel the benefit. The key to this part of the session is to maintain some sort of sighting (raising your head out of the water) in a pool there will only be one direction but come open water you will need the practice of recognising landmarks even when you in the swell of the other competitors! Total 1600m - If this doesn't get your triathlon juices flowing I don't know what will!? Living with Patella tendonitis and injury in general... towards the end it gets different! Its a Saturday run session with my triathlon club on a running track local to me and the winter training schedule of run long but slow is well and truly in my mindset, concentrate on your form and don't run to fast... and then it happens, a burning feeling in my right knee followed by shooting pains from my hip and outer knee joint. Why me, why now, this year was going to be perfect.... and I suppose thats it really isn't it! We never visualise getting injured or being unable to train and in fact we spend so long thinking and visualising the exact opposite. The first part of getting over any injury and on the road to recovery is being able to detach from this "normal" mindset and adopt another one. It is only at that point will you focus on the important but boring procedures of getting fit again, the stretching, the physio, the nutrition changes... It is not until these thoughts become your goals that you can ensure no other damage is done. For example, last year I suffered with IT band issues and although I had identified the problem and I had began a sort of recovery, the need and the desire and the focus on training had still not gone away. So light training, taking it easy! was never going to happen and the longevity of the symptoms were almost certainly prolonged. 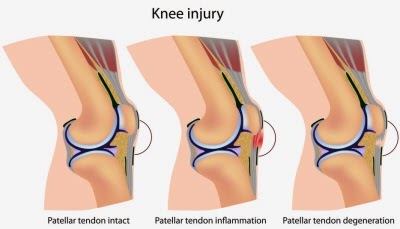 So what is Patella tendonitis? Well by the very nature of the ...itits bit on the end it is an inflammation meaning something has been angered! usually through another injury changing you biomechanics or from an over use of a particular movement or impact, running, cycling are to blame in my case! So what is the solution to Patella tendonitis? Rest- Well your probably not going to be shocked by this but rest is the primary and indeed only solution! What comes with rest is some ways in which you can encourage recovery to happen in a more timely and efficient manor! Physio - This is a new one for me... and probably the reason i'm in this mess in the first place, Releasing the muscles that put tension on the tendons and therefore reducing any chance of further damage and stimulating repair, I have found a great physio through my club! I think this is something of preference but make sure you trust the person and they come with some sort of recommendation. I'm one of those people who wouldn't take my car to a backstreet garage if I could afford a main dealer repair and I think your body is as important if not more! The physio I use also uses Ultra sound technology to help stimulate blood flow to the joint. Vitimin C - A great way to booster your immune system and encourage collagen production which inturn is the way you repair tendon tissue. Stretching regularly - Again probably one of the reasons i'm in this mess but stretching has been highlighted to me (the hard way) in being a way to both help repair this injury as well as staving off any other damage both present and int he future. Stretching should include all of the muscles directly above and below the joint! quads, hamstrings, calves, glutes etc... There are so many on youtube theres no point in me going through any here but look them up! Foam Roller - Some people love them and some people hate them! I am a believer in them as long as the use of them is not prolonged and does not do anything to damage the blood flow to the injured area. Fact, they definitely release tension in the muscles and connective tissue around the injury, thigh, hamstring, calf, IT band and therefore are good in my book! Diet- At the point of dispart it would be easy to reach for the chocolate or grasp at the wine, but think of the recovery you are about to undertake, running for the first time on that fresh and improved tissue, all vunrable and new! To be a few kilos lighter would only be of advantage to possibility of a long lasting repair! That also means cutting back on your building nutrition, the extra proteins, carbs and calories you were taking in to keep your fuel stores full! 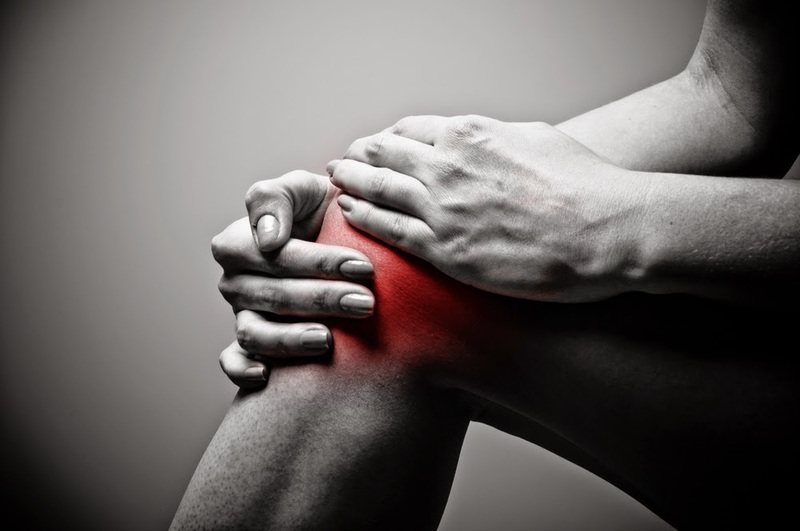 So what does the future hold for a person suffering from Patella tendonitis? This is the part of my blog that I believe will be different from others, and that is to say that life should not stop and inactivity should be adopted! Now I am no professional but in comment on my own case I have found that my recovery has not been completely debilitating. Yes it is true that total rest from the movement that has caused the inflation is paramount! however upper body, core training is a great way of keeping you in shape and will actually allow you some time to build on things you probably have been building on already! For example my plank has gone from 30seconds to almost 2mins 30... My lat pull down and bench pressing has improved and in my case I have been able to swim and my 400m TT time has come down by almost a whole minute. I know this is a well used quote but by focusing on what you can do, what is in your control and forgetting about what you can't do and is not in your control, you will only remain as focused and not become disillusioned. Probably the most important point about ...itis injuries is to understand that the point in which you felt the pain is a long time after the problem occurred! therefore the run until it hurts is not a good mantra to adopt! Besides if you have had this injury you will know that when your muscles are warm the pain seems to easy and sometimes disappear, therefore recovery runs should be short and slow building in intensity over a long period, pain during or the day after should be telling you your not ready, no pain should be saying you got away with it today and count you lucky stars and don't push it. Frustrating as this can be it will only make you a better athlete, you will focus on your form more listen to your body more and have a better understanding of what really makes you tick!